The soil type found in a landscape is the most often overlooked aspect of irrigation design and operation. Most homeowners only consider plant water needs and ground slope (or runoff). Soil type, while important to plant growth management, is simply not obviously connected with irrigation design and management. The most important property of a soil for an irrigator is the water holding capacity of the soil. Soils hold water! 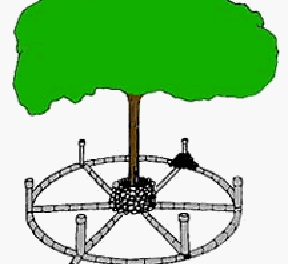 If we can grasp that simple concept we are well on the way to a well-managed irrigation system and a healthy landscape. Different soil types can hold different amounts of water. A sandy soil is made up of large particles that are visible to the naked eye. Large soil particles mean large pore spaces between the particles. These large pore spaces allow water to drain quickly and easily through the soil. Due to this simple fact sandy soils drain quickly and do not hold a great deal of water. Clay soils, on the other hand, are made up of very fine, microscopic particles. These tiny particles fit together tightly, resulting in tiny pore spaces between them. The tiny pore spaces allow water to move through them, but at a much slower pace than in sandy soils. Clay soils drain quite slowly and hold more water than sandy soils. There are established estimates of soil water holding capacity based on soil texture (in a given range of soil water tension, which is beyond the scope of this paper). Coarse sands may hold a total of 0.05 inches of water per inch of soil depth. Loams may hold up to 0.18 inches of water per inch of soil depth, and clays may hold up to 0.17 inches of water per inch of soil depth. Not all of this water is available to the plants in the landscape, but these figures do help us schedule our irrigation frequency based on soil type. How do these numbers help us manage our irrigation system? First, let’s assume that most of our landscape plants will have a rooting depth of approximately 10 inches. If we have a coarse, sandy soil that holds 0.05 inches of water per inch of soil depth, we can determine that the soil can hold (10 inches of rooting depth x 0.05 inches of water per inch of depth =) 0.50 inches of water. If we apply more than 0.50 inches of water at any one time, the excess water applied will move into the soil and down through the soil profile below the root zone. So the extra water simply moves out of the root zone to an area that is not accessible by the plant. This is called leaching as mentioned in HGIC 1800, Landscape Irrigation Management Part 1: Water in the Landscape. The excess water can and will take some nutrients or fertilizer with it as it moves downward. 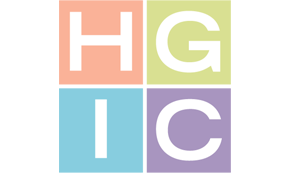 We have suggested in HGIC 1802, Landscape Irrigation Management Part 3: How Much Water? that we need to apply 1.0 inch of water to the landscape each week. If we are limited to applying 0.50 inches of water at any one time, it is easy to see that we will need to irrigate our sandy soil twice per week with 0.50 inches of water. This will provide the 1.0 inch of water needed by the landscape and will also help prevent leaching of water and nutrients out of the root zone. A clay or clay loam soil holds 0.17 inches of water per inch of soil depth. Using the same 10 inches of rooting depth times 0.17 inches of water per inch of depth we find that the clay soil can hold 1.70 inches of water within the 10 inch root zone. We could apply the 1.0 inch of water required each week in one single application with little concern for leaching. From all this information we can provide three rules of thumb. First, landscapes with extremely coarse sands (entisol soil orders found near the coast) should be irrigated three times per week with 0.3 to 0.35 inches each time. Second, landscapes with sandy and sandy loam soils should be irrigated twice per week with approximately 0.5 inches each time. Third, landscapes with loam, clay, or clay loam soils should be irrigated once per week with approximately 1.0 inch of water. There is a popular misconception that landscapes should be watered daily – after all, plants use water every day. This idea completely ignores the fact that soils hold water. If we need one inch of water per week and we irrigate daily, we will in effect be applying 1/7 inch (0.14 inches) of water each day. A portion of this small amount of water will be intercepted by the leaves, with the remainder reaching the soil. If we assume that 0.12 inches of water reaches the soil surface, we can use the water holding figure for coarse sandy soils (0.05 inch per inch of depth) to see that we are wetting the soil to a depth of approximately 2.4 inches each day. A clay soil would be wetted to a much shallower depth (approximately 0.7 inches). We have created a system that hopefully maintains the correct soil moisture in the upper 2 inches of the soil (or less). We know that plants need water for nutrient transport and that plant roots grow where there is water and oxygen. These facts make it easy to see that we are “promoting” a 1 to 2 inch root zone for our landscape plants. Rainfall will help some roots grow more deeply, but we are regularly encouraging shallow rooting with our daily irrigation scheme. This makes the plants less drought tolerant, less stable, and much less hardy. The plants are forced to retrieve most of their nutrients from the tiny root zone, which gives them a limited window of opportunity to retrieve fertilizers. Daily irrigation can also encourage growth of many weeds, such as nutsedge, crabgrass, and annual bluegrass. Do not irrigate every day! New Sod: New sod should be irrigated with 0.2 inches of water each day for 10 to 14 days to keep the sod moist until the roots become established in the native soil. The best practice is to irrigate twice per day during this time with 0.1 inches each time. After this time irrigation should gradually be scaled back to once or twice per week depending on soil type. Commercial Vegetables: Commercial vegetable growers with sandy soils apply irrigation water daily. They also inject the daily plant fertilizer need into the irrigation water so all of the plant’s requirements are met. Since these are annual crops, the growers are not as concerned with rooting depth as they are with completely preventing crop stress to help produce large, healthy vegetables. Potted or Containerized Plants: The soil media used in many potted plants is very porous and well-drained, with very little water-holding capacity. There are cases where daily irrigation will be required for these plants. Another often-overlooked property of soil type is infiltration capacity (how quickly the water soaks into the soil). Most sandy soils have a high infiltration capacity. These soils can accept water quickly due to their large pore spaces. Due to this fact sandy landscapes seldom have runoff problems. However, clay soils have a much lower infiltration rate. The clay soils can hold quite a bit of water, but due to their small pore spaces they cannot accept the water quickly. If an irrigation system is designed to apply water too rapidly, runoff will occur. Runoff can especially be a problem in clay landscapes with moderate to large slopes. If we have runoff from a clay soil landscape we could apply 0.5 inches during the first irrigation cycle, then apply another 0.5 inches of water later that same day (or evening depending on your irrigation schedule), which will allow the water time to soak into the ground before the second amount of water is applied. We can also use smaller nozzles in the sprinklers to apply water more slowly. Smaller sprinkler nozzles also decrease the wetted diameter of the sprinkler, so there is a limit to how much the application rate of the system can be lowered while maintaining a uniform application of water over the landscape. 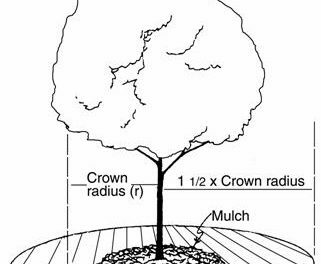 There are a few “rules of thumb” to use as starting points – remember, adjust these based on your planting practices, climate, and plant size / root ball size if planting new material. Newly Planted Ornamentals: irrigate once or twice per week. Landscape Areas With High Water Use Plants: irrigate once or twice a week, depending on soil type. Landscape Areas With Moderate Water Use Plants: irrigate as needed. Landscape Areas With Low Water Use Plants (cacti, etc. ): do not irrigate. Soils hold water, so daily irrigation is not required except in special circumstances (mentioned above). Schedule your irrigation system to provide the needs for your landscape, but also to consider the water holding capacity of your soil.